TEN years ago I suffered a stroke. I was lucky and was left with some partial paralysis down my right side and a slight limp. The care from the nursing staff at Dorchester County Hospital was fantastic and after being sent home with a shipping order for medication I was left to consider advice from my doctor that the cause was nothing but 40 years of body abuse. Feeling sorry for myself, I decided I had two options whilst recovering – to sit on my backside and watch day-time TV or get out there and get myself fit. I decided that I would walk to the end of my road and back several times a day and then extend the distance every day until I was walking from my home in Anning Road to the end of The Cobb, about two miles. I did that six days a week for about a year until an old football knee injury started playing up and I was unable to do it so frequently. But it cured my limit and helped tremendously to lose a few pounds and, as a type 2 diabetic, to reduce my sugar levels significantly. Exercise really is the best way to keep diabetes at bay. I tell this story because having reached the age of three score and ten, and having put back on all the weight I lost, I have decided to return to my daily routine of walking to The Cobb and back. Sometimes I do it twice a day. When I started doing it I made it a race, trying to beat my fastest time, which I think was somewhere around 42 minutes 20 seconds. “Trust you to make a race of it,” says my wife Jackie. The knee is still a bit rickety and has slowed me down somewhat. Another reason for doing it is because every other Friday I look after the distribution of 4,000 copies of this newspaper. It takes me five hours and I’m just not fit enough to do it without being washed out the following day. To continue doing this, I decided I had to get fitter. But I quite forgot how beautiful Lyme is early morning. I just love seeing the town wake up and the sun rise over Golden Cap and a silvery sea. The early morning strollers all seem happy and very often say good morning, whether they are known to me or not. Joggers pound up and down and a surprising number take an early morning swim. 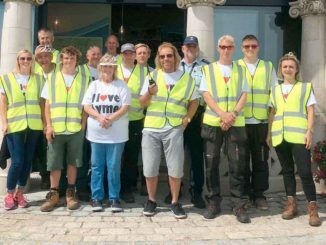 The town council outside workforce start early by cleaning the beach and water the floral decorations along the seafront. Dorset Waste operatives are emptying the bins. My walk takes me to the end of The Cobb where the trawlers are preparing for another hard day’s work at sea and the pleasure boat owners are hoping for a better mackerel catch, in short supply this season. The deep sea fisherman and divers are often enjoying an early breakfast at the wonderful Beach House Cafe. At weekends the rowers are launching their gigs. Deliveries are being made to the pubs and restaurants, whose staff are busy washing down the streets outside their premises. At this time of year, Alan and Lynn Vian – what would Lyme do without them? – are preparing for the day’s fun and games on the seafront. I recognise families who have been coming to Lyme for years and take the same seafront cottage every year. We nod as though we are old acquaintances. Lyme is at its serene best before the crowds arrive. Some dedicated sun seekers turn up early to grab the best spot on the beach, with all the kit necessary these days for a day at the seaside – windshields, tent, Primus stove, inflatable. Occasionally I witness the keen beach hut owners cooking breakfast. Whilst on The Cobb I often take a breather and sit on the wall, looking back over the town, and wonder: “Who lives on that big house on the skyline? Do they appreciate Lyme as much as me?” To think, ten years ago this could have been taken away from me by my sedentary lifestyle. On one of my walks early evening I got involved in an unnecessary spat with a couple of visitors over one of Lyme’s biggest problems. Sat on The Cobb they started to feed the seagulls, tossing chips, and laughing as they fought for the scraps. I butted in because a young mother was carrying her baby, probably not more than a month or two old, and the gulls, as they came swooping in, frightened the mother and baby. I pointed out to the visitors it was an offence to feed the gulls and they could be fined £100. They protested they didn’t know. They were sat on a seat on The Cobb with a sign behind and one straight in front of them fixed to the railings, saying not to feed the seagulls. 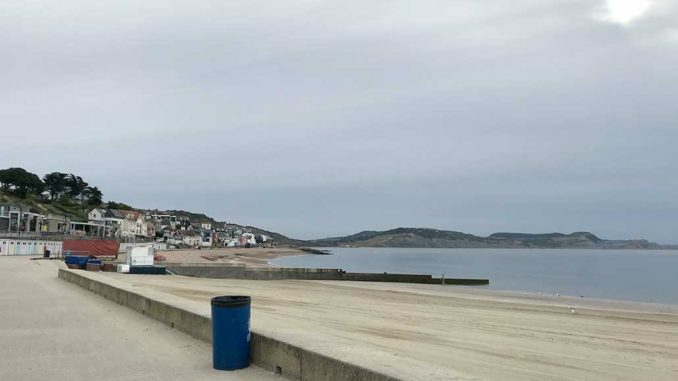 ANOTHER u-turn from Lyme Regis Town Council in reversing the decision to ban festival events, apart from those long-established, during the school holidays or bank holidays. Following protests from events that would have been precluded – the popular and well established jazz and folk festivals and the B Sharp busking festival – councillors have changed their minds. 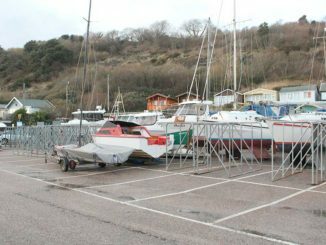 As reported by LymeOnline this week, the council’s original decision was an attempt to reduce the number of events which detract from the nature and character of the town. It was a decision that was not completely thought through and the council has been accused of being “overly bureaucratic” and in future they have been asked to consult with the event organisers before making such decisions. The council also did a u-turn on the application to erect a new lifeguard post on the main beach, apparently the only authority in the country to oppose the new construction which some councillors felt was too imposing on a beach where there had never been a drowning fatality. After protests from the RNLI, the council, oblivious it would seem to the negative PR such a move would engender, withdrew their objection and the new lifeguard post is up and running and does not look at all overbearing on the beach scene. There is an upside to this, however. It is good that councillors are big enough to admit they sometimes get it wrong, and are prepared to listen, but it must be very difficult for staff to deal with when this flip-flopping happens so frequently. I THINK it was photographer Richard Austin who first floated the idea on Facebook that Lyme should have a statue of one of its most famous residents – fossil hunter extraordinaire Mary Anning. The idea won wide approval form dozens on social media and town councillor Jeff Scowen, forever anxious to see Lyme’s history celebrated, even went as far as saying he would make sure it happened. 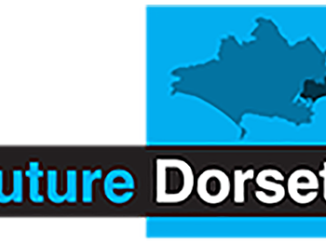 The town council’s Tourism, Community and Publicity Committee, led by Councillor Cheryl Reynolds, is also backing the proposal and discussions are already in hand. The million pound extension to the town’s museum is named after Mary Anning, who is buried in the parish churchyard on Church Cliff. 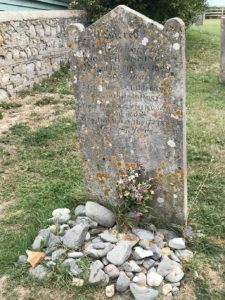 The headstone is in pretty poor condition and fossil enthusiasts have laid a number of examples at the foot of the grave. There is no other formal recognition of the woman who arguably has brought more people to the town than any other figure from our past and who has world-wide followers. No discussion has yet emerged over where a statue of Mary Anning should be sited but the Church Cliff area, or the new Church Cliff Walk, close to where Mary uncovered the most significant geological find of all time, the first complete ichthyosaur, a permanent exhibit in the Natural History Museum in London, would seem to be favourite. Preliminary discussions over funding for such a project have taken place and Councillor Reynolds is confident that sufficient funds can be raised. The only other statue recognising one of Lyme’s other historical characters is that of Admiral Sir George Somers, a former mayor of Lyme who was shipwrecked whilst taking supplies to the settlers in Jamestown, Virginia. That project took a number of years to reach fruition and was only possible by a significant personal donation. Mary Anning used to live on the site of the museum and I hope that the museum can be involved in the planning of this excellent initiative to honour Lyme’s Lady Of The Cliffs.